Create reusable templates to make status updates more efficient. 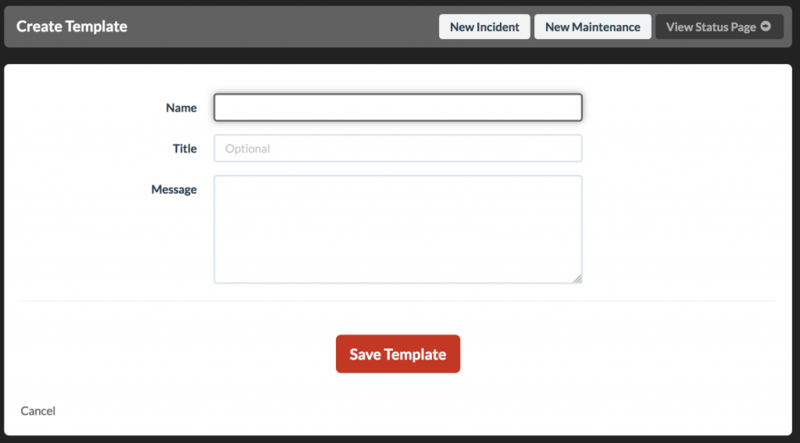 Manage your templates from either the Incidents or Maintenance tab in the dashboard. Give your template a descriptive name. The name is only used internally to identify the template. 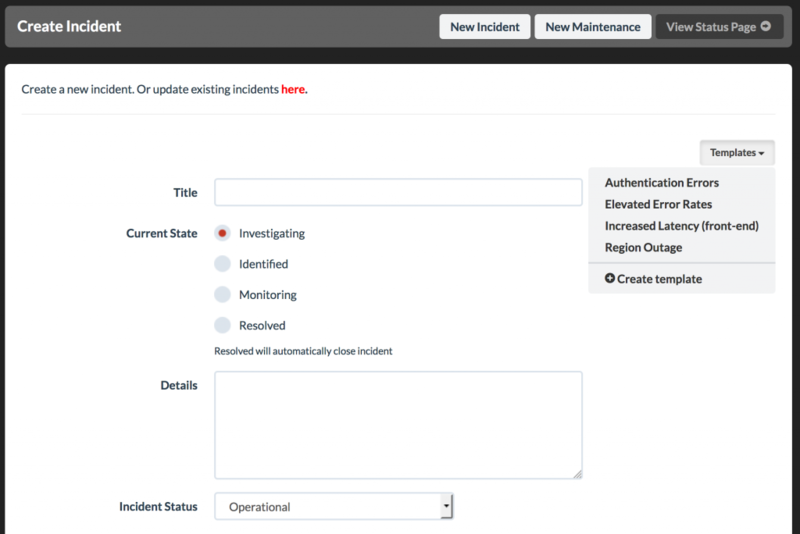 Optionally, specify a title that will be used when creating a new incident or maintenance. The message field is required and contains the status update content. View, modify or delete templates. Click the Templates button when posting a status update to automatically insert the selected template.